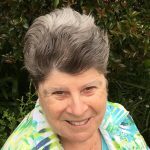 With the Federal election looming in Australia, Good Samaritan Sister Marie Casamento offers us all – but particularly politicians, candidates and voters – a prayerful poem to ponder. Who are the Caesars today? And what do they want in return? building empty apartments in the air? We have but one vote. Will we use it wisely?